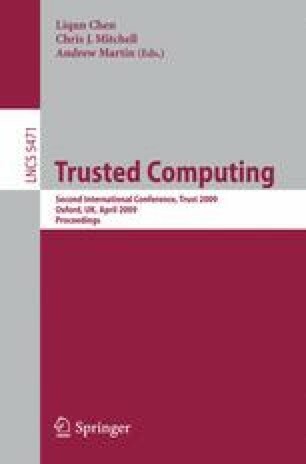 This paper examines how a secure agent transfer protocol based upon TCG-defined mechanisms can be improved using property-based platform state information. In doing so, we demonstrate a practical implementation of property-based platform attestation using an enhanced version of the component property certificates defined in . To illustrate our solution we provide examples of properties and component property certificates given a mobile aglet that is destined to execute on a group of devices, where the mobile aglet originator wishes to protect the confidentiality of the aglet code.